Holly lives in a world where lying has become common place for her. However, she finds after telling a few too many fibs and disappointing those around her that her life's about to change. Holly's niece, Anna, asks Santa Claus to make Holly incapable of telling a lie as her Christmas wish. What follows is a tale of how telling the truth changes Holly's life in ways she could never have anticipated before. 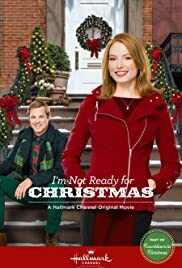 I'm Not Ready for Christmas is a 2015 romance film directed by Sam Irvin and starring Alicia Witt, George Stults, Brigid Brannagh, and Dan Lauria. 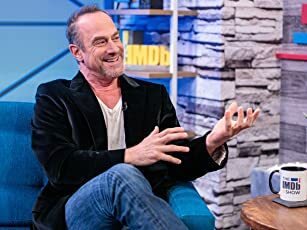 Written by Hanz Wasserburger, the film is about driven businesswoman whose life is turned upside down when she discovers she can no longer lie—the result of her niece Anna's wish to Santa Claus. Her career and love life become complicated when her lies begin to catch up with her, forcing her to judge between truth and what is right. Alicia Witt seems to be the go to actress for the Hallmark Channel when they produce a film that rips off other films. I think they do this because she does make these film enjoyable. This film is family safe however children & men will be bored. If you like romantic comedies then watch this.